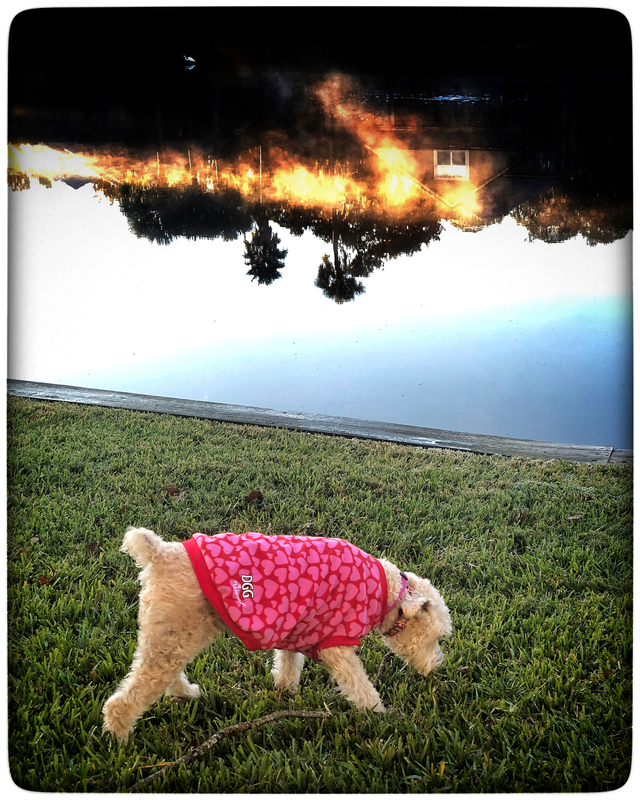 Stella checks out the backyard while sunrise reflects in the chilly early morning fog on the pond. 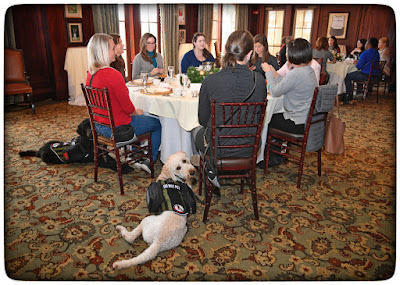 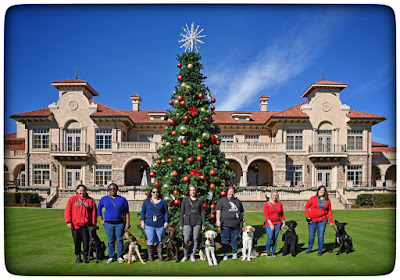 We had a K9s for Warriors luncheon for women warriors & their special pups in the clubhouse at TPC Sawgrass. 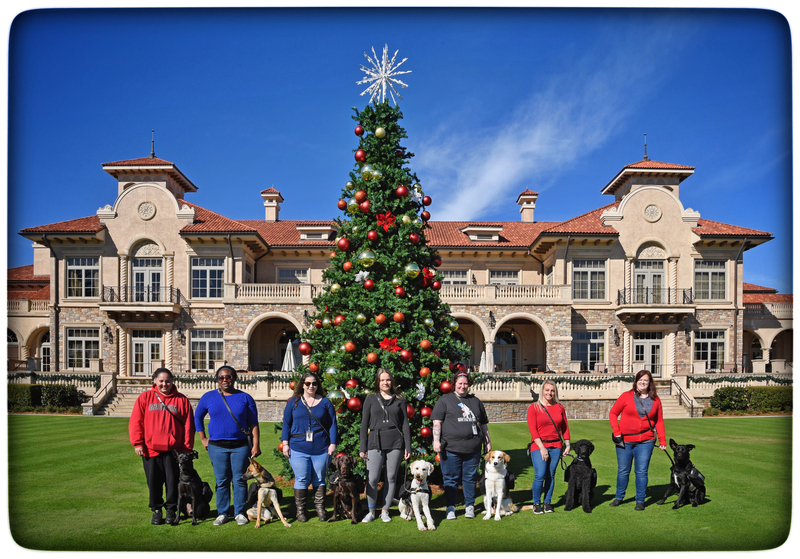 Afterwards, we did a group photo on the back lawn. 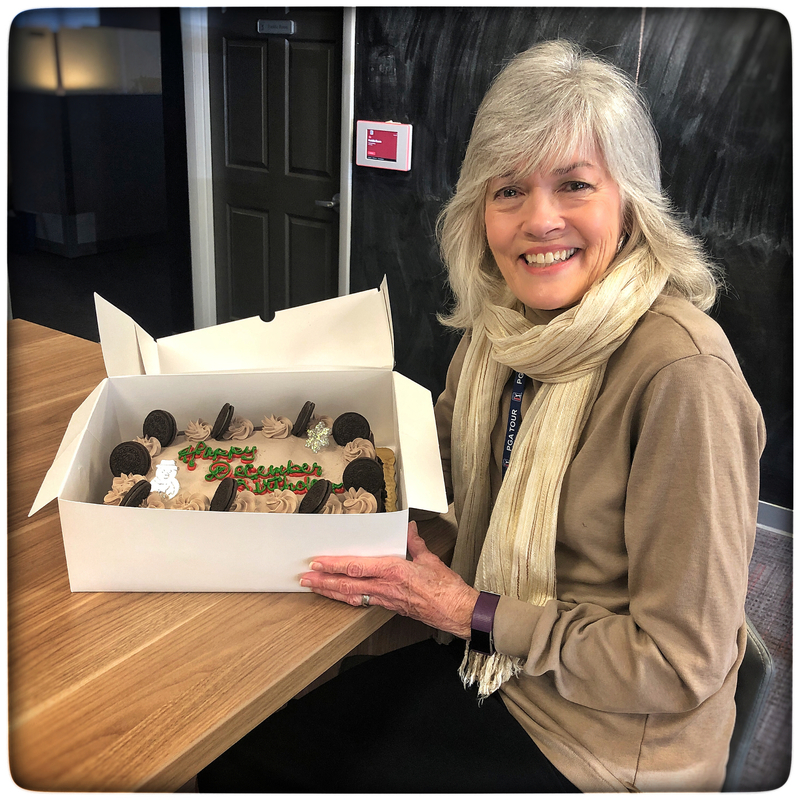 Evanne posed with our December birthday cake.